“Healthier mothers have healthier babies,” says the UN Chronicle. Every mother wants a healthy baby. 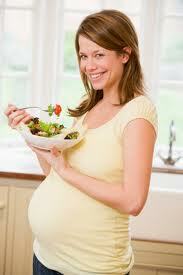 So what foods should a mother eat while pregnant? 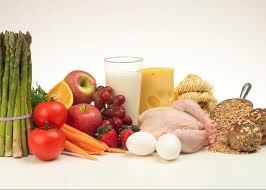 Sources of protein include meat (but avoid liver), fish, poultry, eggs, beans, pulses and nuts. Eat some protein every day. Choose lean meat, remove the skin from poultry, and cook it using only a little fat. Make sure eggs, poultry, pork, burgers and sausages are cooked all the way through. Check that there is no pink meat, and that juices have no pink or red in them. Try to eat two portions of fish a week, one of which should be oily fish such as sardines or mackerel. Eat plenty of fruit and vegetables because these provide vitamins and minerals, as well as fibre, which helps digestion and prevents constipation. Eat at least five portions of fruit and vegetables a day – these can be fresh, frozen, canned, dried or juiced. Always wash them carefully. Cook vegetables lightly in a little water, or eat them raw but well washed, to get the benefit of the nutrients they contain. Dairy foods such as milk, cheese, fromage frais and yoghurt are important because they contain calcium and other nutrients that your baby needs. Choose low-fat varieties wherever possible. 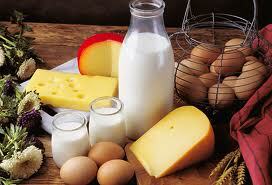 For example, semi-skimmed or skimmed milk, low-fat yoghurt and half-fat hard cheese. Aim for two to three portions a day. Starchy foods are an important source of vitamins and fibre, and are satisfying without containing too many calories. 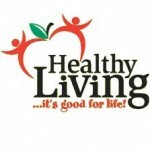 They include bread, potatoes, breakfast cereals, rice, pasta, noodles, maize, millet, oats, sweet potatoes, yams and cornmeal. These foods should be the main part of every meal. Where do the extra kilos come from? The woman’s breasts grow by approximately 400g (14oz). The Diet Solution Presents: What To Eat While Pregnant – A Complete Exercise & Nutrition Program For Before, During, and After Pregnancy.